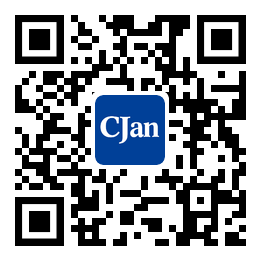 ﻿ The Classification of Rubber Hose Pipes - CJan Fluid Technology Co., Ltd.
Used for irrigation, horticulture, construction, fire fighting, equipment and tank cleaning, agricultural manure, manure, industrial wastewater, drainage, and etc. PVC and EPDM are the most common inner rubber materials . Used for cooling water of refrigeration equipments, hot and cold water of engines, and food processing, especially for hot water and saturated steam from dairy milk products plant. The mainly used rubber material is EPDM. Used for non fat milk, carbonated, orange Juice, beer, animal and vegetable oils, drinking water and so on. The mainly used materials for inner rubber are synthetic rubber and NR. Usually need a food grade FDA, grade DVGWA, KTW or CE certification standards. Used for compressors, pneumatic equipments, mining, construction, and etc. NBR PU, PVC, SBR are the most common materials for inner rubber. They are strictly required for applicable pressure. Used for welding, cutting and so on. The materials for inner rubber mostly are NBR or synthetic rubber. Usually colors of outside rubber are red , blue or yellow, which in order to show there is special gas. Used for hot gas, dust, smoke, chemical gas emissions. Inner rubber is mainly made of thermoplastic materials and PVC . Usually the pipe body is provided with a telescopic design. Used for fuel, diesel oil, kerosene, and etc. Inner rubber materials mainly are NBR mixed with PVC and SBR. There usually is conductive wire between inner and outer rubber, in order to prevent the Mars. Used for acids, chemicals, solutions and etc.. The material of inner rubber is mostly EPDM. Usually, such materials require custom-made materials and design proposals.